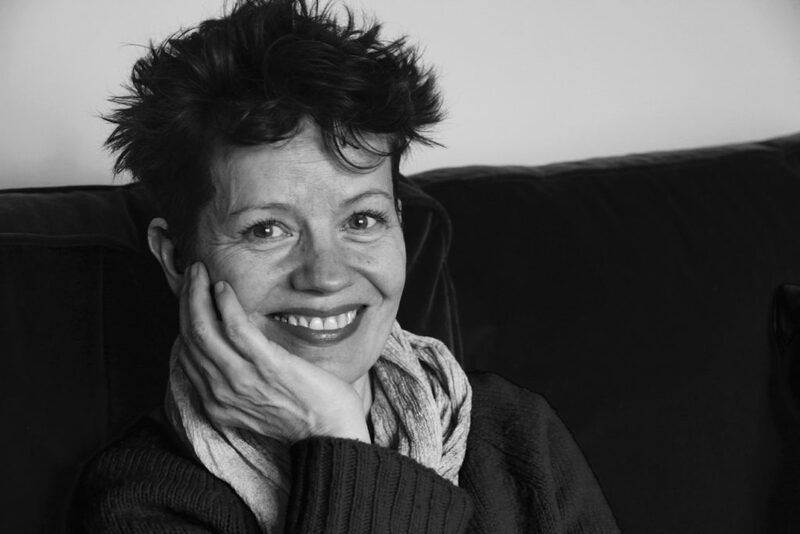 Sally Cookson directed the theatre adaption of A Monster Calls at The Old Vic (7 July – 25 August, 2018), following on from her recent runaway success with it at Bristol Old Vic where it was acclaimed as ‘nothing short of astonishing’. Sally originally trained at LAMDA as an actor but her frustration at not always being in work led her to set up a summer theatre course at Bristol Old Vic, which she describes as ‘the corner that made me turn’. Recent achievements include Jane Eyre and Peter Pan at the National Theatre, and The Lion, the Witch and the Wardrobe at the West Yorkshire Playhouse and she has been hailed as ‘theatre’s queen of the imagination’. CG: What inspired you to direct A Monster Calls? SC: It was a book given to me while I was rehearsing Hetty Feather but I was busy on another project.I met Matthew Warchus, who runs The Old Vic, who said he’d a whole list of stuff with the rights to them. The first book on his list was A Monster Calls. Like all wonderful stories, A Monster Calls is multi-faceted but it’s about truth really and the importance of stories. Although the story has an epic quality to it, the themes are universal and it’s about love and losing someone you love … but also about how stories can help us understand the world and each other. I wanted the aesthetic to have a simplicity, which is why I’ve gone a little bit smaller with this production. CG: Have you faced any particular challenges? SC: I’m really excited about doing it … terrified of course, as well, because it’s already been such a successful film. Also, I don’t want to give anything away but there’s a very significant tree in it. So, how do you build a tree on stage??? That’s the major challenge, but I’m not going to reveal how we’re going to do it! CG: Is directing more creative than acting? SC: No, I think you need an eye on a whole load of other stuff. When you’re acting you’re just thinking about one thing: ‘How do I interpret this character?’ As a director, you’re thinking about every aspect of the production. I love having a seed for an idea and exploring how it’s going to emerge onto the stage. CG: How do you go about finding that seed? CG: So when you hit on an idea, what then? SC: I absorb it. I’m often having ideas and trained myself to live with an idea for a month. If, after then, I’m still thinking, ‘Yes, this tickle needs to be scratched’ I pursue it. I’ll talk to one of my long time collaborators or a producer who I work with a lot and see what they think. CG: And how do you bring that idea to life? SC: I’ll talk to a writer. This is when I’m devising. I’ve got some long term collaborators who I work with, but I’m always looking for new voices as well. The next stage is to organise a workshop. I’ll always spend a week in a rehearsal room with the writer, composer, some actors and a designer and we’ll just springboard the tiny seed and see what comes in. Everything is potentially a good piece of theatre, so I’m constantly looking for new ideas. That’s the most exciting time, and the most revealing, because if an idea is a good one then usually ideas flow. SC: We don’t have a script. We have a story or a book or an idea and will create a script together during the rehearsal process … a piece of theatre without one person imposing an interpretation of the book. A collective interpretation is really difficult and I’ve come to realise that you can’t do it with 20 people in the room. You can only do that on smaller projects like Jane Eyre, which was seven actors – that’s the maximum of voices you can deal with in a room. I now build up a structure that’s a little more cemented. I start with a ‘guide’ that saves a lot of time so that the actors are then free to play – they don’t have to worry about the narrative structure so much. Instead they can worry about how we’re going to interpret things, how these characters are going to come to life, how we can theatrically create some of the challenges in the story. That, I think, is a much more successful way of working. CG: If there were no limits, what would you love to do? SC: I’m interested in finding new ways of telling stories. If money was no object, I’d like to do a massive community project in Bristol with professional storytelling and an installation artist to help me, like Luke Jerram. SC: Creativity for me is having the freedom to express how I feel about being human and having the freedom to ask questions about who I am, who you are, who we are – and grappling with that and enjoying doing that. A Monster Calls is an Old Vic production in association with Bristol Old Vic based on the book by Patrick Ness. (The Old Vic, 7 July – 25 August 2018). 7.4.19 update: congratulations to Sally for winning the Olivier for this in ‘Best Entertainment & Family’. Written by Caroline Gibson, freelance copywriter, as the fourth article in her series of blogs on what creativity means to people blazing the way in their particular field. This entry was posted in Marketing & branding advice and tagged A Monster Calls, Benji Bower, Bristol Old Vic, Luke Jerram, Matthew Warchus, Olivier Award, Patrick Ness, Sally Cookson, The Old Vic on July 2, 2018 by Caroline Gibson.